Miami Heat @ Cleveland Cavaliers, betting preview for Friday. January 25, 2019. Charliessports.com produces it for Basketball Betting. Daily NBA ATS Expert Picks are the best in the industry and will continue through the NBA Finals in June of 2019. We’re always providing BETTOR Friendly cards. Our signature 500* premium ATS Predictions are unreal & I promise you won’t regret purchasing, cash in Daily. The (22-24) SU, (25-21) ATS Miami Heat have lost four of five including a 111-99 defeat by the Los Angeles Clippers as 5′ point home FAVORITES ATS. Miami is 1/2 games behind first-place Charlotte in the Southeast division while holding on to the number eight seed in the Eastern Conference. Miami is still without All-Star point guard Goran Dragic who’s set to return in mid-February. Miami is 2-3 AGAINST THE SPREAD their last five on the road. UNDER bettors has made profit Miami last four after they allow opponents 100 points or more the previous game. The UNDER is 5-1 the last six between the teams in Cleveland. The UNDER is 4-1 Miami last five overall. The (9-40) SU, (20-28-1) ATS Cleveland Cavaliers have dropped nine of ten including their most recent a 123-103 loss to Boston as 15 point road UNDERDOGS ATS. Cleveland is out of the playoff race with expectations of landing Duke university prized freshman Zion Williamson by winning the 2019 NBA Draft lottery in May. They’ve gotten lucky with Lebron James, Kyrie Irving, and Andrew Wiggins who are no longer wearing a Cavaliers uniform. Cleveland is 0-3-1 ATS their last four after an SU loss. The OVER is 2-1 Cleveland last three at home. The Cavaliers are 2-7-1 AGAINST THE SPREAD their last ten at home. Cleveland is 6-3 ATS their last nine against Miami at home. 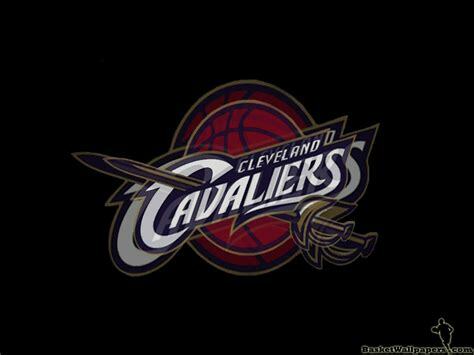 Friday’s game is 7:35 PM EST at Quicken Loans Arena in Cleveland, Ohio. The Local Network will be broadcasting. The Betting Line has Cleveland as 8′ point home UNDERDOGS ATS. The TOTAL is 208 points for Friday’s contest. Miami Heat head coach Eric Spoelstra knows he has an elite defense which will pay dividends as the season progresses. The Heat allows opponents (106.0) ppg, 5th in the league while the (46.6) rebounds per contest rank 8th league-wide. However, they’ve got issues scoring point, and the lack of offense stood out against the Clippers their last game. Guard Josh Richardson (17.8) ppg is the leading scorer on a unit that produces (105.8) ppg of offense, and they thought that Dion Waiters could improve their numbers returning from an injury, but it hasn’t happened. The question surrounding the organization is, do they wait for Dragic to get healthy or make a trade before the deadline? General Manager Pat Riley is known for pulling off deals that are beneficiary to the roster but since LeBron James left he’s been quite along the trade front. Fans in South Florida like to support winners, and with attendance down it’s surprising Miami hasn’t done anything to make a run at Boston, Toronto, Philadelphia or Milwaukee who are the front runner in the East. This Sports Handicapper believes Miami will make wholesale changes in the coming month to compete at an elite level; it’s in Riley’s nature. It’ll be one series and done in the postseason with the current roster. They do however get the cover tonight against a pathetic Cavaliers team. 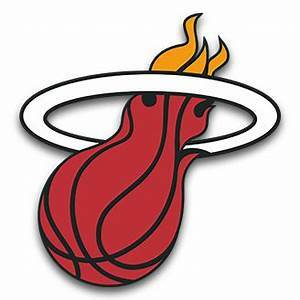 Bovada.Lv list the Miami Heat win total at 41′ games for 2018-19. Owner Dan Gilbert gets credit for delivering on an NBA title when the beloved LeBron James decided to come back home. It was a good time around Northeast Ohio with restaurants and Pubs filled on game day. However, it’s back to normal in Cleveland; you can go anywhere near the Arena without waiting to be seated and purchase premium tickets at bargain prices. Cleveland is 14′ games behind Miami for the final playoff spot which they have no intention of competing for even when Kevin Love (19.0) ppg returns in three weeks. The Cavaliers 28th ranked offense produces (102.5) points per contest on(44.3%) shooting from the field. Point guard Jordan Clarkson (16.7) ppg the third highest scoring average for an NBA reserve this season. Rookie Point Guard Collin Sexton (14.6) ppg has shown flashes and head coach Larry Drew is going to turn the former Alabama Crimson Tide stand out into a great player. The (9.2) three point shots made per game ranks last in the NBA. What’s interesting about the Cleveland Cavaliers is that they’re not as bad on paper as they are on the basketball court. It shows how much LeBron James meant to the success of the organization. The Winning NBA handicappers at Charliessports.com are 15-2 on Betting Predictions including Totals involving the Cleveland Cavaliers in 2018-19. Bovada.Lv list the Cleveland Cavaliers win total at 30′ games for 2018-19. Free Pick. Miami-8′ Points. Also Play Online Poker Plus Other Casino Games and enter some of the best Tournaments on the World Wide Web. Utah Jazz @ Cleveland Cavaliers NBA Betting Betting Preview for Friday. January 4, 2019. 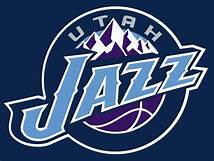 The (18-20) SU, (18-19-1) ATS Utah Jazz were beaten by Toronto 122-116 as 1′ point road FAVORITES ATS on New Year’s Day. Jae Crowder led all scorers with 30 points as Utah gave up 44 third-quarter points in a pathetic defensive effort. They’re playing the second of a four-game road trip which end in Milwaukee on the 9th. Utah is 4-0-1 AGAINST THE POINT SPREAD their last five after an SU defeat. The Under is 3-1 Utah last four on the road. UNDER bettors have made profits in Utah last four on the road vs. Teams with an SU losing record. The Jazz is 5-0-1 ATS the last six between the teams. The (8-30) SU, (18-10) ATS Cleveland Cavaliers are looking to end a seven-game SU losing streak after a 117-92 defeat at the hands of Miami as 5′ point home UNDERDOGS ATS. Forward Kevin Love is getting set for basketball-related activities after undergoing foot surgery in November, but there’s no timetable for his return on the court. Cleveland owns the worst record in the NBA as we enter 2019. Cleveland is 0-5 ATS their last five on Friday’s. The Cavaliers are 0-4 AGAINST THE POINT SPREAD their last four at home. The OVER is 7-1 Cleveland last eight at home. UNDER bettors have cashed in the last five times, the teams have played. 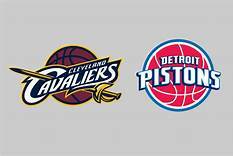 Friday’s game is 7:30 PM EST at Quickens Loan Arena in Cleveland, Ohio. The Local Network will be broadcasting. The Betting Line has Cleveland as 9 point home UNDERDOGS ATS. The TOTAL is 208′ points for Friday’s contest. Expectations around the NBA for the Utah Jazz were prematurely high after a tremendous 2018 postseason. However, the Jazz finds themselves in an unpopular position as far as the standings are concerned. Head Coach Quinn Snyder insists his guys aren’t panicking but also indicated tonight’s game is critical for team confidence. It’s been seven years since Utah has been victorious in Cleveland, but that’s when they were competing against the likes of LeBron James or Kyrie Irving. Sharp Shooter Kyle Korver returns to Cleveland for the first time since getting traded for Alec Burks while the Cavaliers Rodney Hood also looks forward to seeing his old teammates. Guard Donovan Mitchell (20.8) points per game lead the leagues 21st ranked offense that scores (107.7) ppg. Point Guard Ricky Rubio is questionable tonight with a minor foot injury which could affect ball distribution. Utah shoots (46.3%) from the field which ranks 13th league-wide. What bothers the coaching staff is their effort on defense in Toronto, they allow opponents (106.1) points per contest and 144 is unacceptable. They also understand it was New Years and Toronto is city players like to frequent although the weather is frigid. Utah will face two former players who’ll be looking to take their abilities to new heights tonight; they must stick to the game plan by getting the ball to Rudy Gobert and Derrick Favors in the post. Bovada.Lv list the Utah Jazz win total at 49′ games for 2018-19. After the departure of LeBron James the Cleveland Cavaliers face many dilemmas in the first month of 2019. Owner Dan Gilbert fired Tyronn Lue earlier in the season, replacing him with Larry Drew on an interim basis. Nothing is working, and now they’re in the hunt for Duke star Zion Williamson who’ll enter the 2019 NBA draft and it in some circles being compared to the King. 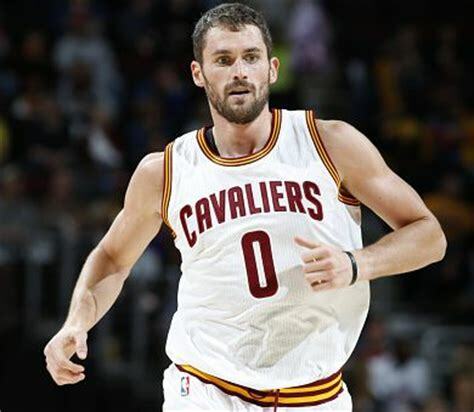 Trade rumors are swirling surrounding Kevin Love who’s talent could land him in the Western Conference when he becomes healthy. For now, the coaching staff remembers the production of Donovan Mitchell in two appearances last year averaging (27.5) ppg while shooting (63.6%) and that was against a team that played Golden State in the NBA Finals. The Cavaliers allows opponents a league-worst (48.7%) from the field which should have Mitchell licking his chops. Jordan Clarkson (16.9) ppg leads the leagues 28th ranked scoring offense that puts up (102.0) points per contest while rookie Colin Sexton (14.7) ppg is playing up to expectations. The former Alabama Crimson Tide point guard looks forward to facing Rubio if he’s available. Cleveland doesn’t have a star in the lineup since Love is on the shelf and their dependency of James no longer an option they’ll lose but cover the POINT SPREAD tonight. Free Pick. Cleveland+9 Points. Also Play Online Poker Plus Other Casino Games and enter some of the best Tournaments on the World Wide Web. Are LeBron James and the Los Angeles Lakers poised for a turnaround? In July 2014, LeBron James announced he was reversing his Decision, leaving the Miami Heat to return to the Cleveland Cavaliers. After going to four straight finals in South Florida, critics thought he was crazy to leave a good thing, let alone the weather, behind. You can’t go home again and all that. Want to have a champion’s edge? CharliesSports’ NBA Picks have the plays for you. The King didn’t go 0-3 to start his first season as a prodigal son. 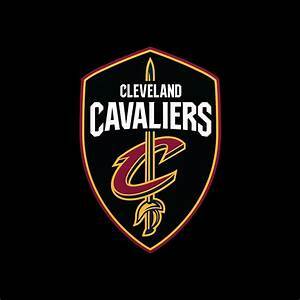 The Cavs lost to the New York Knicks in the Quicken Loans Arena on opening night but topped the Chicago Bulls at the United Center. James and company needed overtime to get it done, however, then lost their next two against Portland and Utah. Not too different from his first games as a Laker. Finally, they started a four-game winning streak against Denver only to stutter again with a commensurate losing run. With the hounds baying at the 5-8 beginning, the squad found its bearings, ripping off eight wins in 15 days. Overall, it was an inconsistent season. A six-game losing streak loomed but would soon be followed by an 18-2 run in the New Year. Don’t misunderstand. I’m not saying the Lakers can match that success in LeBron’s first season at the Staples Center. I don’t think a ninth straight Finals appearance is in the cards. I wouldn’t put it past the man to prove me wrong but I wouldn’t bet on it either. According to Alex Kay of Forbes, the Lakers were +2000 to win the NBA title before James signed but the odds shrank to +350 when he inked. No one cared who else Magic Johnson did or didn’t sign afterwards. What I am saying is 0-3 is just bedding in, getting the lay of the La La Land, as it were. It’s going to take some time for the Lakers to play a tune fans can dance to, but they aren’t going to keep losing either. Tonight’s game looks like a ground floor opportunity to start profiting from a Laker resurgence. With Phoenix 1-2, it’s an opportunity for LA to claim their first win in the LBJ era even though the Suns’ lone victory came at home. you must take a long, hard look at the over. It’s 236.5 in this game. Phoenix posted 124 in their home opener. They knocked up 103 against Golden State, the team where Lakers coach Luke Walton cut his teeth. The Lakers threw in 119 and 115 in their two defeats in regulation. LeBron contributed 26 and 24 in those games and just 32 in the overtime affair with San Antonio. He’s been consistent but hasn’t made a statement yet. Tonight, against a team that hasn’t held an opponent below 100, seems like a good time. Brooklyn Nets @ Cleveland Cavaliers NBA Betting preview for Wednesday, October 24, 2018. Charliessports.com produces it for Basketball Betting. Basketball Betting Picks are the best in the industry and will continue through the NBA Finals in June of 2019. The (1-2) SU, 1-2 ATS Brooklyn Nets won twenty-eight games last season and already have a victory in just their second game of this season. Brooklyn took down the New York Knicks 107-105 as a 4-point home FAVORITE ATS. The Nets are coming off of a 132-112 SU loss to Detroit as 8-point road UNDERDOGS ATS on October, 20th and having 3-days rest could be helpful. 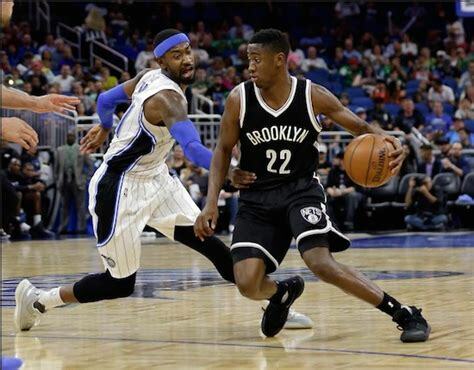 Brooklyn travels to New Orleans on the 26th before returning home to face Golden State October 29th. Brooklyn is 5-1 ATS the last six meeting between the teams. The Nets are 6-1 ATS their last seven against a team with losing home SU record. OVER bettors have cashed in once this season in games involving Brooklyn. The (0-3) SU, 2-1 ATS Cleveland Cavaliers, are finding out again what it’s like to be without the services of LeBron James. Fans can take notice that his new team hasn’t won yet either, but all odds are on the Lakers finishing the season with a better record than Cleveland. Owner Dan Gilbert was second-guessing himself after the Kyrie Irving for Isaiah Thomas trade last season, neither is in a Cavaliers uniform. However, they still have a formidable nucleus. OVER bettors have cashed in 4 of the Cavaliers last five when playing a team with a losing SU record. The OVER is 4-1-1 the last six meetings between the teams. The UNDER is 6-1 Cleveland last seven on Wednesday’s. Cleveland is 6-1 ATS in their last seven after giving up more than 125 points in their prior game. Wednesday’s game is at 7:05 PM EST at Quicken Loans Arena next to Jacobs field home of the MLB Indians in Cleveland, Ohio. Local Television Network will be broadcasting. The Opening Betting Line has Brooklyn as a three-point road FAVORITE ATS. The TOTAL is 229 points for Wednesday’s contest. Brooklyn Nets head coach Kenny Atkinson is a native New Yorker and understands what basketball is to the area. The Long Island native has the franchise within striking distance of a postseason berth with young talent. Since taking over the reigns in 2016 in which they won twenty games the win total improved by eight last season. Shooting guard Caris LeVert is averaging 24.7 ppg on an offense that puts up 106.3 points per contest, but they’re giving up 113.3. The organization signed former Portland Center Ed Davis in the offseason to help 2017 first round draft pick Jarrett Allen in the post. It’s paying dividends with Davis grabbing a team-best 8.3 rebounds per game while Allen blocks three shots per contest. Former second overall pick D’Angelo Russell enjoyed scoring success last season, but a knee injury sidelined the former Los Angeles Lakers guard for two and a half months. The coaching staff knows he can score points, but they want more effort on defense; Russell leads the team with 6.0 assists per game. Brooklyn gets outscored in the second and third quarter, and that’s something the coaching staff will address in practice. A key to a Nets victory Wednesday is for Davis to limit Cleveland power forward Kevin Love in the paint. 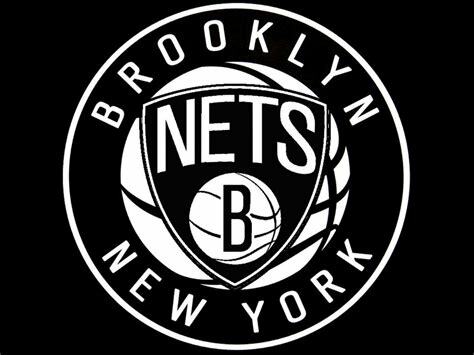 Bovada.Lv, list the Brooklyn Nets at +9,500 to win the 2018-19 NBA Eastern Conference Atlantic Division. The Cleveland Cavaliers are one of four teams without a win through the first week the others are Chicago, Oklahoma City, and the Los Angeles Lakers. Head Coach Tyronn Lue has talent and experience at every position which could put them in contention for another Eastern Conference title run. Yes, it could happen even without the best player on the planet. Rookie point guard Collin Sexton is in a great position under the tool edge of veteran George Hill and Lue. The former Alabama standout has everything it takes to become a star in the NBA which is why the Cavalier could be dangerous against any team in the East. Add Tristan Thompson, Love, JR Smith, Larry Nance Jr, and George Hill to the mix, and you have a playoff-ready roster. However, they must assert themselves on defense; they’re allowing opponents to score 126.7 ppg while scoring 112.7 on offense. Love, Thompson, Nance and small forward Cedi Osman will begin to assert themselves more in the paint. JR Smith who questionable (elbow) for Wednesday’s game is an elite defender when he wants to apply himself, and they’ll need every ounce against a prolific Nets backcourt. Bovada.Lv, list the Cleveland Cavaliers at +10,000 to repeat as Eastern Conference Champions. Free Pick. Cleveland+3 Points. Also Play Online Poker Plus Other Casino Games and enter some of the best Tournaments on the World Wide Web. They say no one remembers who finishes second. ‘No one else’ is more accurate. The players who finish second can never forget until they finally win it all. Right now, both the Cleveland Cavaliers and Vegas Golden Knights are having series they would rather forget in the NBA and Stanley Cup Finals respectively. If they cannot forget now, the end will arrive sooner rather than later and both will have at least a year to replay it all in their minds, wishing after what might have been. Last night, the team playing with house money took the game to the Washington Capitals in the opening ten minutes. Down two games to one in the series, victory would both level terms and return home-ice advantage to the Golden Knights. The puck gods had other ideas and, apparently, all their money on the Caps. Ninety seconds in, a shot deflected off Eric Haula’s skate then the post. Reilly Smith was up next. He fanned on a shot with the net gaping. James Neal hit the post on the powerplay with Washington netminder Braden Holtby flat on his back, helpless. Those three misses may have cost Vegas the series and the rest of us an amazing Cinderella story to get us through the next lockout. The Capitals would not miss three times in the following ten minutes, taking a commanding lead into the second period, one that would translate into a 6-2 victory and a 3-1 series advantage. Lady Luck has caught up with irrepressible Vegas goalie Marc-Andre Fleury, too. The ever-smiling, effervescent ex-Penguin carried the club through the regular season, then the playoffs’ first three rounds. Against Los Angeles, San Jose and Winnipeg, his net was emptier than Donald Trump’s promises. Fleury boasted a .947 save percentage. At the worst possible time, he has regressed to the mean, his number in the Finals 102 points lower. It will have to come back up and the skaters in front of him will have to start converting their chances. As hard as it is to relax when it’s win or go home, Vegas can’t afford to grip their sticks any tighter or make that one extra pass out of uncertainty. It wasn’t three misses that put the Cavaliers under the cosh in the NBA Finals; it was one shot declined. Things had been going swimmingly for the Cavs in the NBA playoffs. LeBron James had been carrying the load and the supporting cast was ensuring he had a clear path to the basket against Indiana, Toronto and Boston. Matters were much the same for 47 minutes and 56 seconds or so of Game 1 in the fourth instalment of their annual NBA Finals confrontation. Then JR Smith happened. In case you were locked in your bathroom for five days [it happens, I’m not judging], the 6’9″ Freehold, New Jersey native who the game program lists as a shooting guard suddenly declined to do so. Collecting the ball under the rim with the score tied [NHL Fan Book rule number 14: Never listen to Don Cherry], Smith dribbled to the sideline to run out the clock, apparently thinking the Cavs had the lead when the score was tied. Cleveland then lost in overtime. Needless to say, LeBron was displeased. He’d been driving the bus for three series just to get the chance to beat the Warriors, and now JR Smith decides to hop out for cigarettes? Game 2 was a debacle. Cleveland suddenly couldn’t trust each other while Golden State had to believe the stars were aligned and the moon was in the house of Klay and Curry. The Warriors won by 19 to take a two-games-to-none lead as the series switched to The Land. Are you ready for LeBron versus the Gang of Three, Chapter Four? We live in an age of instant gratification. Our attention spans have dwindled to almost nothing. Virtually everyone’s kids–look at me when I’m talking to you–are diagnosed with ADD, ADHD or ADWTF. They’re all heavily medicated. Moms and dads take out one-year leases on cars built to last a decade. We trade in our old phones for the newest on a monthly basis. Nothing is ever good enough. In the immortal words of Freddie Mercury, we want it all and we want it now. Except when it comes to the NBA. Then, we’re happy to slog through an 82-game season listening to Charles Barkley make no sense, followed by four rounds of playoff action just so we can get to what everyone knows is coming: another episode of the LeBron and Steph Show known as the NBA Finals. Both the Cleveland Cavaliers and Golden State Warriors deserve credit. They tried to throw us off the scent, teasing us that maybe this was the year a new team would step up to move the NBA forward by taking their respective conference finals to seven games. Golden State even let a Houston Rockets side without Chris Paul run out to a double-digit lead in the first half before pulling out another patented shock-and-awe third quarter to put the series to bed. In the end, though, there will be a fourth consecutive final between the Cavs and Warriors, and people couldn’t be happier. If LeBron can somehow drag his supporting cast of cable repairmen and UPS drivers to a title, it could tie this best-of-seven-years series at two and force it to at least a sixth season. And the fans would eat it up. So would the television executives. Guaranteed ratings for the foreseeable future. The opening matchup of this year’s series is tonight in Oakland. Golden State open as 12.5 point favorites. My gut wants to buy into that line by taking Golden State. I can see Steph, KIay Thompson and Kevin Durant outshooting King James. Both teams won on the road to close out but the Warriors went last and have the momentum. On the other hand, I remember that opening scene from Once Upon a Time in the West. The planks on the train platform are too rotted and warped to dribble a ball, but the tension in the three-against-one gunfight is dead-on. Harmonica (Charles Bronson) asks Not Frank (Jack Elam) if he brought a horse for him. Not Frank laughs and says, “Looks like we’re shy one horse.” Harmonica shakes his head and replies, “You brought two too many.” Then he outdraws Not Frank and his two cohorts, gunning them all down. I worry that LeBron James is feeling his inner Harmonica coming into Game One. He certainly felt it in Games 6 and 7 against Boston, when he ripped off 81 points. Is he still up to it? Maybe, but he’ll definitely be alone. Kevin Love remains doubtful as he undergoes Concussion Protocol. Larry Nance Jr isn’t likely to be effective simply because Golden State doesn’t go inside as often as Boston. He should be around to clean up for James at the other end, however. The critical point in this series will come when Golden State starts strongly. If they are even or ahead going into the half, how will Cleveland respond in the third quarter? If they have an answer for the Warriors berserker onslaught, it will be a long series. If they don’t, well, LeBron will have to take Harmonica lessons in the off-season.